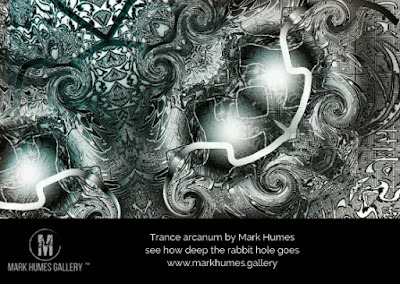 HomeArticle Mark Humes explains the mystical influences in his art. Much of what I create has more to do with primal spirituality than it has to do with any schooled systematic approaches to creating art. My creative process is more of a ritual. I use music and meditation to bring about a vision that I make manifest in this world. 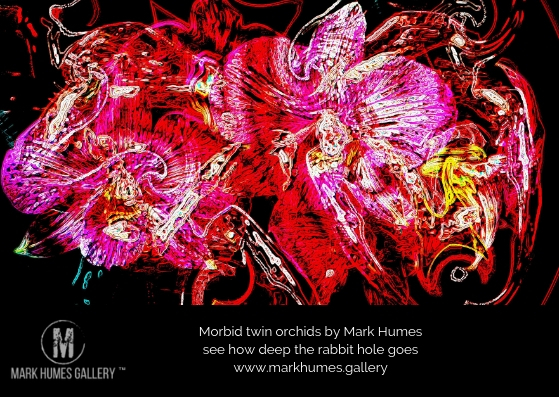 I tap into my subconscious mind that is a is twisted and distorted jumble of all I have ever seen, heard and felt for the images I create. In my newest work of art Trance Arcanum, I was seeking to look into dark places to address fear. I created what I saw when I looked into this place. I took that fear out of its mystical world of shadow and brought into mine. A singular piece of myself represented as art I can now put to positive use as a form of income. I know too many people it may be a reach accept mysticism in art, but I know of no better way to explain it. I go into a trance where I have a vision of something that does not exist I conjure it into existence, and then I transform it into currency. That is my reality when it comes to my creations and my magic I seek to share with the world..